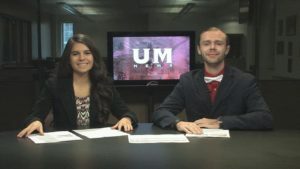 This week on UM News, we check out how one student is leaving her mark in the global music scene. Also, we explore the growing sport of curling in Missoula and how students are helping keep the University District clean after football games. This show is produced by Aunica Koch, directed by Drew Cox-Koulman, and anchored by DJ Stewart and Mederios Whitworth-Babb.